Haines, Alaska USA. Haines is surrounded by mountains and water. 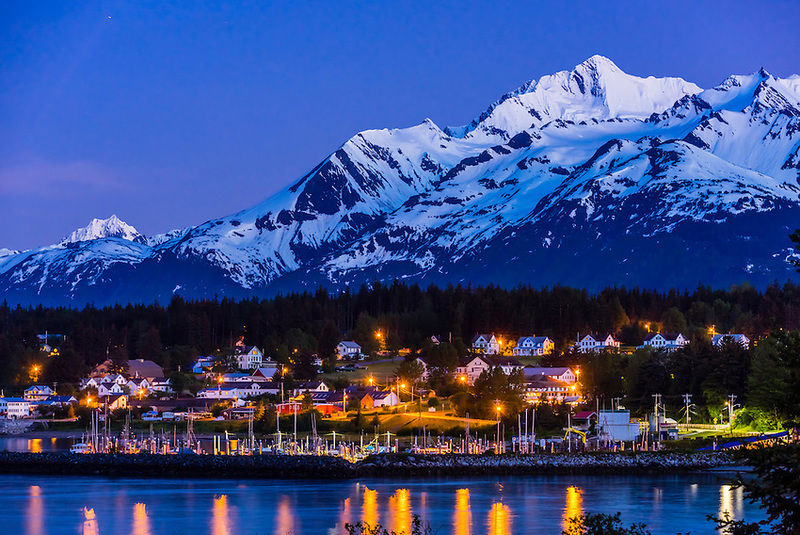 Rising high above the town are the Takinsha Mountains and Chilkat Range to the south, Takshanuk Mountains to the north and Coast Mountains to the east across the Lynn Canal.